This is a weight loss motivation story that is uniquely mine. 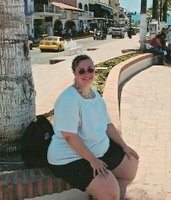 How to lose 100 pounds: My before and after weight loss story tells how I lost 100 lbs and have been maintaining that loss for the last 10 years. 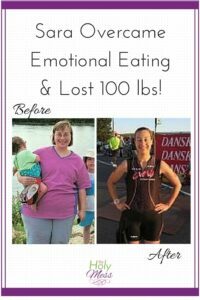 My 100 pound weight loss success story. 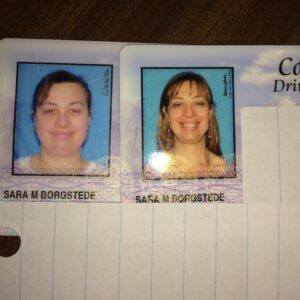 Driver’s license before and after 100 pound weight loss comparison pictures. 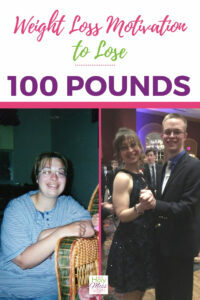 Losing 100 Pounds: How Did You DO It? I see the longing in the eyes of people who ask me this question. I know the desire I felt when I asked that question myself when I was at my heaviest. Sharing some weight loss motivation is my goal here, and I hope that my honesty will help those on the journal as well to not feel so alone. What was the secret that would get me out of the prison of food and weight obsession in which I was trapped? My struggle with my weight was the heaviest of coats I wore no matter the weather, the burden I carried and from which I never got a vacation. Answer #1: I’m still doing it. Answer #2: Therapy, prayer, exercise, lifestyle change. From looking at pictures, I was overweight from the time I was 3-4 years old. Weight loss struggles have been part of my story for as long as I can remember. 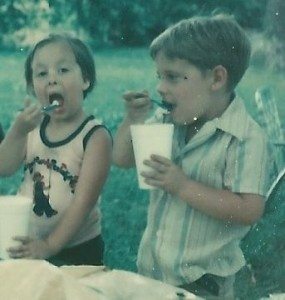 Jeff (my cousin) and Sara eating ice cream – we started young. For most of my adult life, I was overweight. I would go on diets and lose weight, sometimes as much as 40-50 pounds. But, I couldn’t keep the weight off. I always regained the weight and when the pounds came back, they brought friends. So, I ended up heavier than before. I finally reached a point where I knew I had to make a change. I didn’t have one rock bottom moment but rather a series of rock-bottom moments. When clothes from the regular store (even the plus size) barely fit me, I knew I needed to get serious about my weight problem. 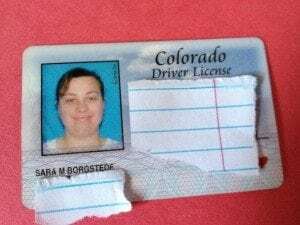 While driving, my stomach hit the steering wheel – and I wasn’t pregnant. I felt sick and miserable most of the time. When I hit an all-time high weight of over 250 lbs, I knew I had to do something drastic in order to conquer my overeating and binge eating behaviors. Today, I’ve been maintaining a 100-pound weight loss for over 10 years. These days, I continue to be blown away by all the incredible changes weight loss has created in my life. I stand humbled and in awe of God’s goodness to me. While my eating certainly is not perfect, I am able to maintain a healthy weight. 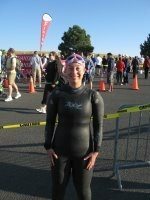 I went from total couch potato to walking to running to eventually competing in 50+ triathlons, including a Half Ironman. Exercise has been a huge part of my 100 pound weight loss journey, but it’s not actually necessary for weight loss. 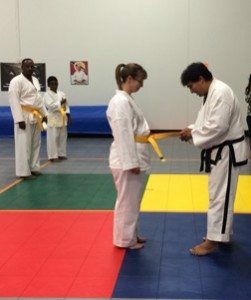 I regularly practice Tae Kwon Do and will be testing for my black belt soon. I also wrestle (Sambo), lift weights, walk, run, hike, and go to exercise classes at the gym. Together with my partner, Becky (who has also lost 100 pounds – check out Becky’s weight loss story here), we run a Christian weight loss program for women called Faithful Finish Lines. Thousands of people visit The Holy Mess every month to seek information and support. I speak to groups, sharing encouragement from my weight loss journey. I try to share weight loss motivation with everyone I meet, so they too know they can succeed with God’s help. Check out my weight loss tips and strategies videos at my You Tube channel. Be sure to subscribe while you are there visiting. Thanks! 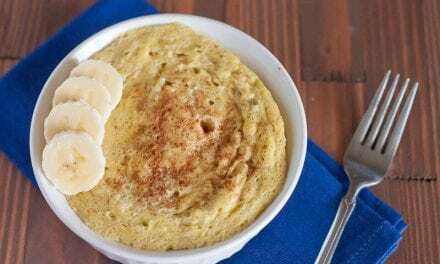 What is the Best Diet Plan for Weight Loss? I can (and will) tell you the outside tools I used to lose weight — what’s the best diet plan, which exercise methods lead to weight loss and which foods are best for weight loss. But – none of those really matter as much as you might think. I had tried and used those methods at least 50 times before when I lost the weight and then regained every pound. Nothing on the outside will fix what is broken on the inside. Changing my thinking, my core beliefs about who I am, and my deepest realizations about the way God loves and accepts me, are what turned my life around. Allow me to give you hope. I’ve done it and it’s absolutely possible you can do it too. What is the best diet plan for you? The best diet plan for weight loss for you is one you can stick with long-term and improves your health. I am a big fan of Weight Watchers, but there are plenty of other healthy weight loss plans that work well. Here are the main keys to how I lost 100 pounds and have my own “Before and After Weight Loss” success story. Therapy for weight loss. Not just with any therapist, but with one who knew about eating issues. All the diets and programs in the world didn’t work for me until I got my head on straight. An accountability program for weight loss. For me that was Weight Watchers. For you, it might be something different, but I had to have something to keep me on the rails. I started Weight Watchers online program about 6 months after I was going to therapy regularly. 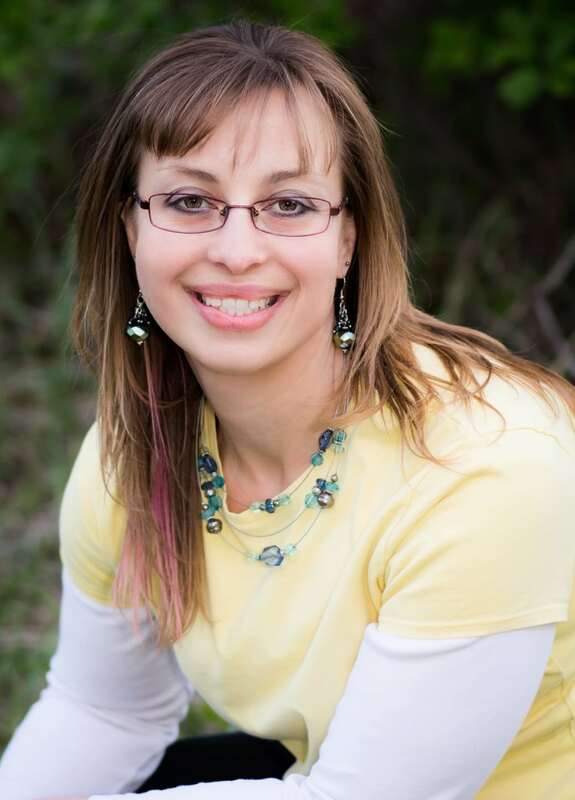 Now, I run an online faith, fitness, and healthy eating program for women called Faithful Finish Lines. We organize several 7-week programs per year plus offer ongoing support to members. Please come to check us out at Faithful Finish Lines. Faith for weight loss. I’ve been a Christian all my life, believing in Jesus as my Savior. Through this journey, I needed to rely on God in new ways. I also had to have faith that losing weight and overcoming my eating issues was really possible. At times it was just a tiny speck of light, but I held on to it. Support for weight loss. Binge eating tends to be a solitary activity. Losing weight needs to be done with support. I couldn’t do it alone. I am here for you! Other people in your life will be too when you reach out for it. Exercise for weight loss. 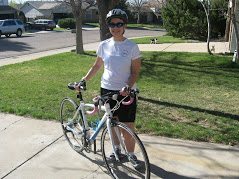 Eventually, exercise became a huge component to my weight loss journey, but I didn’t start with it. Therapy was an important part of my weight loss success. I had lost weight many times before, but I wasn’t able to keep the weight off. In therapy, I was able to learn to overcome emotional eating and I learn specific strategies to stop binge eating. Therapy was not an easy process and at times I really hated going. But I kept at it and the hard work was the most important I have ever done. Let me say that knowing others use therapy for their loss was a huge weight loss motivation tool for myself. I hope it will be for you. If you are seeking therapy for weight loss, consider contacting your insurance provider or use the website helpyourselfhelpothers.org. Weight loss requires eating fewer calories than you burn. It’s important not to cut calories too drastically though, so you don’t end up binging eating. After I started therapy, I used the Weight Watchers program. 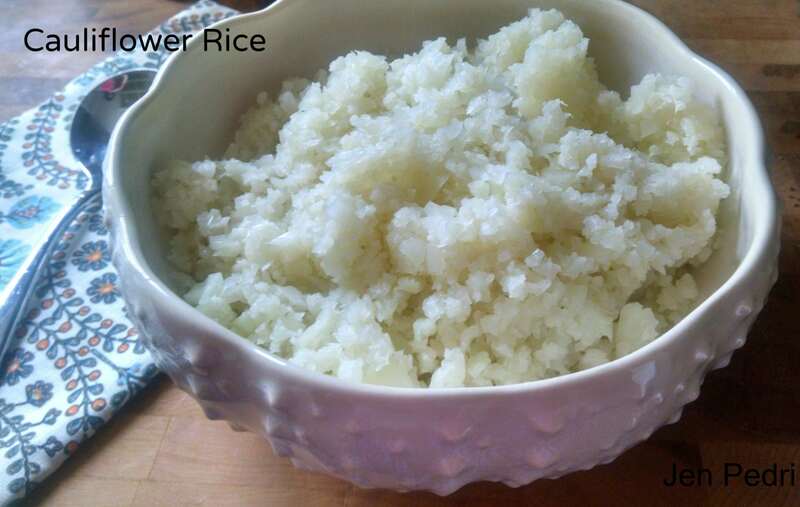 I’m a big fan of Weight Watchers because it gave me the structure I needed but also allowed flexibility so I could continue to enjoy foods I loved. If you aren’t using Weight Watchers, use an online weight loss calculator to find how many calories you need to eat in a day. Apps like My Fitness Pal and Lose It are great for daily tracking of calories. Fitness trackers like a Fit Bit are also useful. I used a fitness tracker for a number of years and learned so much from wearing it. 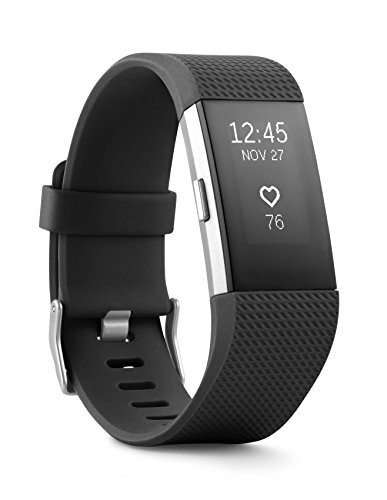 Click here to find the best fitness tracker for you. My faith is an integral part of my weight loss journey. 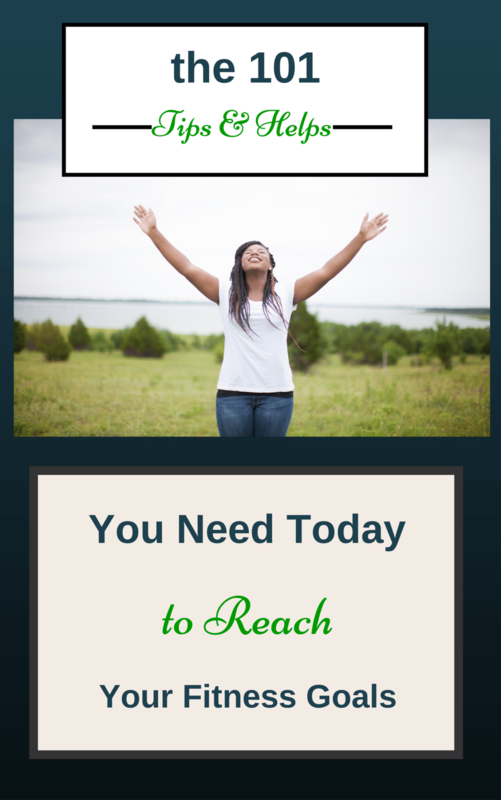 Christian Weight Loss is keeping Christ at the center of your weight loss efforts. One of the most drastic changes I made was to offer myself compassion and let go of guilt. This stopped the binge eating cycle and allowed me to gradually create new, healthier habits by making small, realistic changes over a period of time. Support is absolutely critical to any successful weight loss journey and is a big part of my before and after weight loss success. My husband was very supportive of my weight loss. He allowed me to spend money on healthier foods, even though we were on a tight grocery budget. Later, he supported me in my triathlons and running events, watching the kids so I could exercise. I couldn’t have done it without him! Finding friends who also worked toward a healthy life was also important. While it can be intimidating, the truth is that you need to surround yourself with some people who are more successful than you. You will learn so much from them. Check out our Christian Weight Loss for Women with Faithful Finish Lines Facebook group which is a free group and full of supportive, encouraging women. Be sure to check out Faithful Finish Lines online Christian weight loss program for women to get the support and accountability you need for weight loss success. Exercise is not absolutely necessary for weight loss, which is a huge relief for many people to learn! I lost the first 40 pounds of my 100-pound weight loss with no exercise at all. However, exercise is important for long-term health and wellness, and the calorie burn is certainly helpful when it comes to fitness and weight loss. The best exercise for weight loss is the one you will keep doing. For many people, that’s walking because it’s cheap (free), easy, and you can do it anywhere. Walking is by no means the only good exercise for weight loss though. I started with walking and gradually built up to running, then triathlons, martial arts, and more. 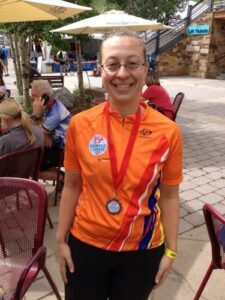 Check out my couch potato to triathlete story here. 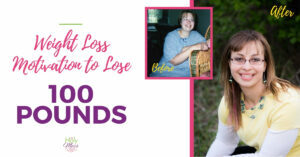 In conclusion, if you are wondering how to lose 100 pounds, I hope my before and after weight loss story fills you with hope. Success with weight loss is absolutely possible. 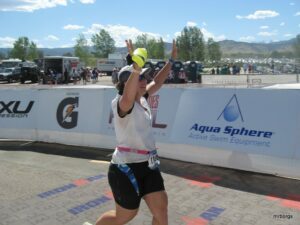 My Half Ironman Finish line moment. The answer to how to lose weight might include therapy for weight loss, especially if you have a lot of weight to lose and struggle with emotional eating. Find an accountability program to help you reduce calories for safe, healthy weight loss while still enjoying foods you love. I hope that these tips will be the weight loss motivation that you need. My faith was a key part of my Christian weight loss, and today I run a Christian women’s weight loss program called Faithful Finish Lines. 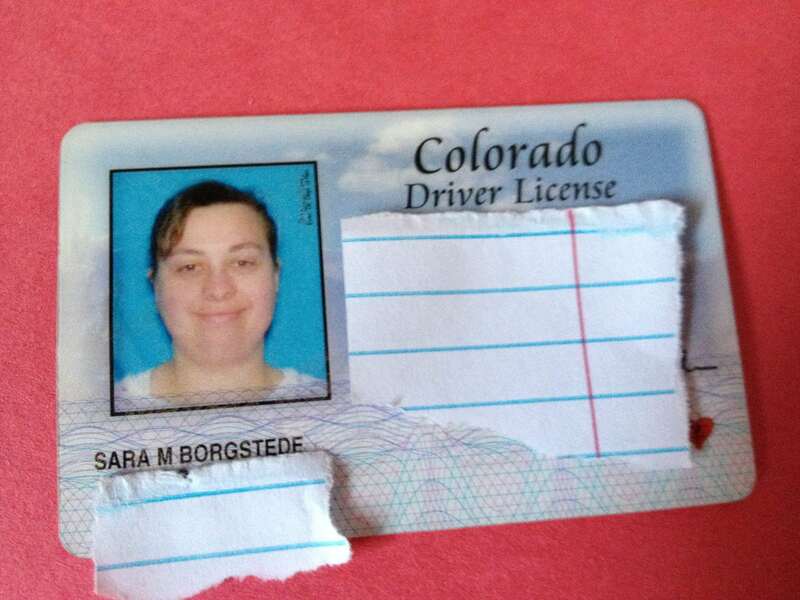 Accepting God’s grace and compassion for me helped me stop binge eating. Find support from family in friends in order to achieve long-term weight loss success. Finally, what is the best exercise for weight loss? It’s the one you will stick with long term and helps you feel amazing. 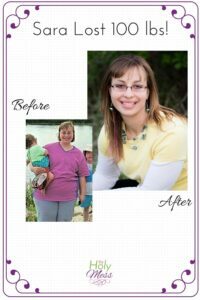 Allow my before and after 100 pound weight loss success story to encourage you – you can do it! If you’ve lost weight, I would love to hear about your experience. If you struggle to lose weight, tell us about your weight loss journey. Oh my gosh. YES! I’ve been struggling my whole adult life with weight. Now I’m 90 pounds over weight and I keep losing and gaining the same 10 pounds!